All Salome homes currently listed for sale in Salome as of 04/25/2019 are shown below. You can change the search criteria at any time by pressing the 'Change Search' button below. If you have any questions or you would like more information about any Salome homes for sale or other Salome real estate, please contact us and one of our knowledgeable Salome REALTORS® would be pleased to assist you. "This could be a once-in-a-lifetime opportunity for the privacy you dream of! 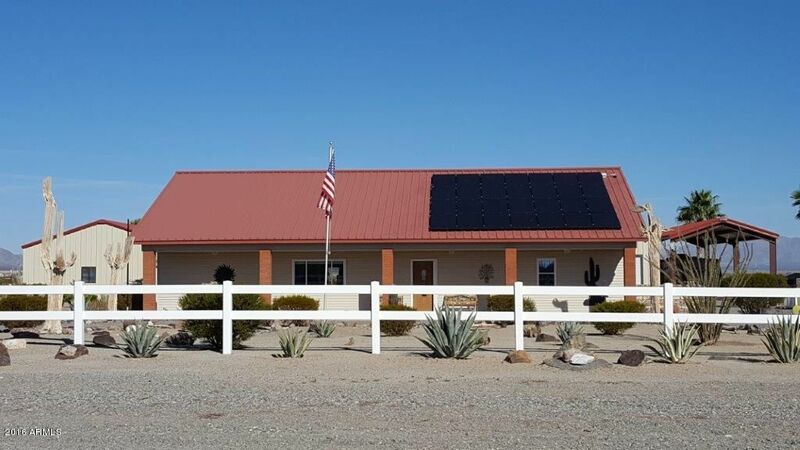 160 acre ranch with 1250' private runway bordering 14,000 acres of BLM land, comfortable home, 3-stall barn, registered brand, corrals, tack shed, 4 wells, windmill, 4 full RV sites, 60'x60' fully-insulated hangar & more. Current owner has flown off runway for 22 years & has grazing lease for BLM land. 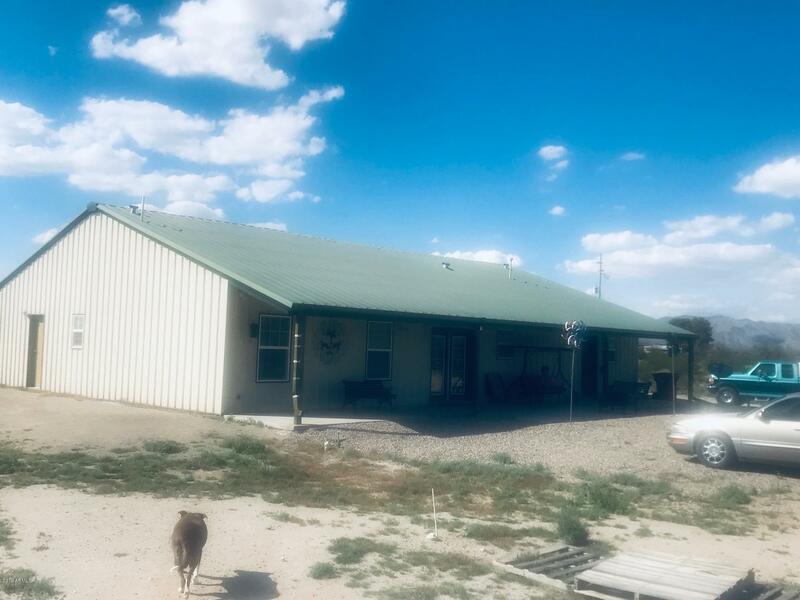 Endless views, sunrises, sunsets, horseback & ATV riding, wildlife, star gazing, walks, picnics & exploration are at yo"
"Insulated steel SHOP & EXTRA GARAGE with 3,000 sq. ft. under cover. GORGEOUS HOUSE with Great Room floorplan, loft overlooking the Great Room & private second bedroom with sitting area are finished with a stunning Cactus Pine interior & custom cabinetry. Leased solar system generates power for the entire property with low power bills. Lovely, low maintenance landscaping, white vinyl fence & private well complete the picture. See separate document for more. Solar must convey. Property is in immac"
"WOW!!! Forty acres surrounded by miles of public land and no neighbors! 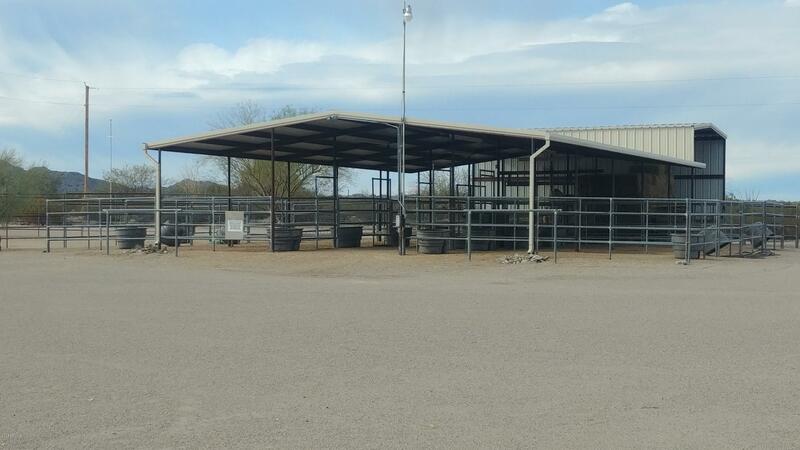 This property is a one of a kind horse facility. With a 10 stall mare motel, a hay barn, a 60 foot round pen and a 120 foot by 250 foot arena, 3 RV hookups, a 4 bedroom/2 bath bunkhouse that sleeps 15 and a main 3 bedroom/2 bath house, you can have all your friends come visit you! 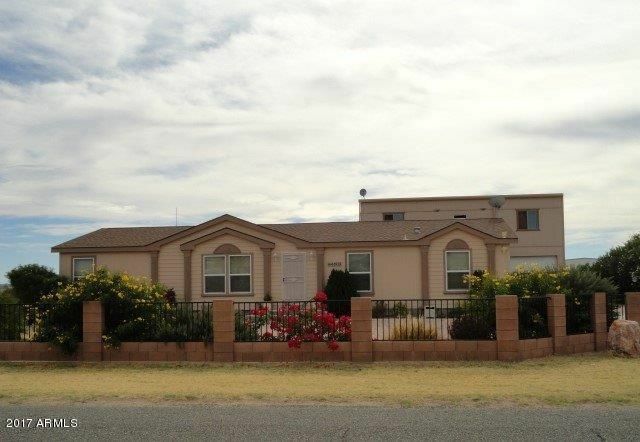 This property is fully fenced and is well designed and maintained. It is currently being used as a training facility in the winter. The views are "
"This property may just be the one you have been dreaming about. 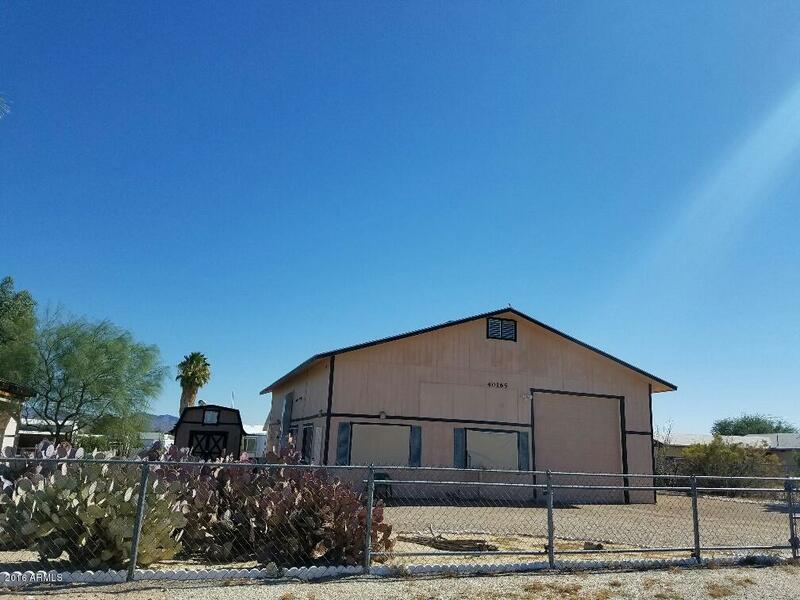 60' x 85 1/2' hangar with concrete & insulation throughout is accompanied by a beautiful top-of-the-line, customized Clayton house on a Commercial Lot with direct access to the runway. A covered patio between the house & hangar is a great space for relaxing & entertaining. Kitchen has Corian countertops & mega cabinet space. All appliances & freezer are included. Kitchen, Dining & Family Rooms flow in a Great Room style. Master en s"
"Attention ATV riders this location is great bring all your TOYS!!!! RIDE STRAIGHT from property. 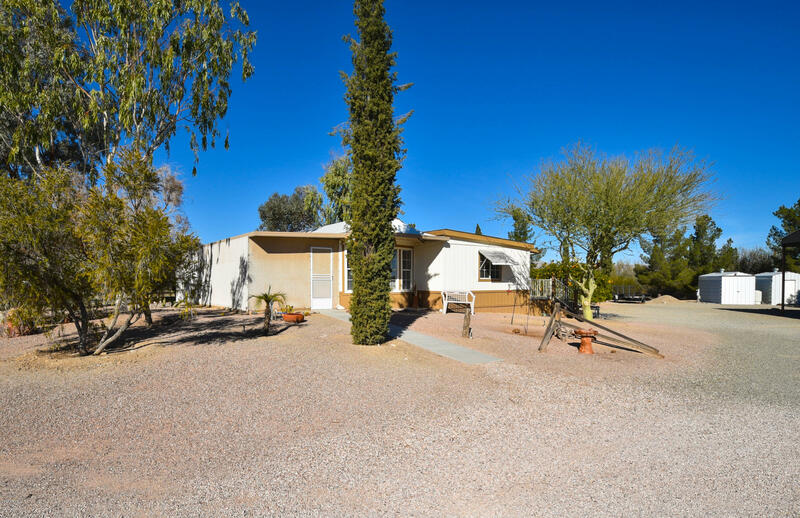 Great opportunity to own this home w/over 2 acres immaculately landscaped w/beautiful trees, fruit trees and privacy trees plus has 3 RV Pads w/hook ups, large covered RV storage, 2 car garage and outdoor bathroom w/shower, toilet and sink. This property is very peaceful and private. 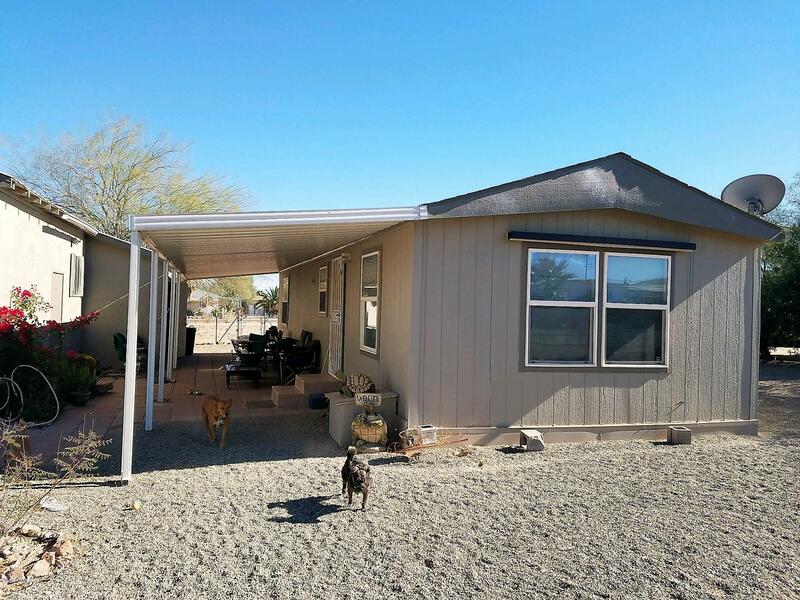 Large Arizona room w/spa, office nook, vaulted ceiling, back porch, all around a great maintained property-Come see t"
"WELL BUILT 3 BEDRM 2 BATH, MADE WITH METAL STUBS, ENGINEERED METAL SIDING & TRUSS SYSTEM. MULTI PANE LOW E WINDOWS, OPEN FLOOR PLAN, TILE THROUGHOUT, BEDROOM SPLIT. WALK-IN MASTER BEDRROM SHOWER, LARGE ROOMS. 2ND BATH HAS A JACUZZI TUB WITH HEATER, ONE ROOM USED AS A DEN WITH SEPARATE ENTRANCE. COVERED PATIONS FRONT & REAL. 1 SHEDS PLUS A 40' STORAGE CONTAINER THAT HAS PWOER AND PHONE CONNECTION. 4 RV HOOK-UPS, PRIVATE WELLW/ 29 GALLONS PER MIN., 1250 GALLONS SEPTIC TANK." 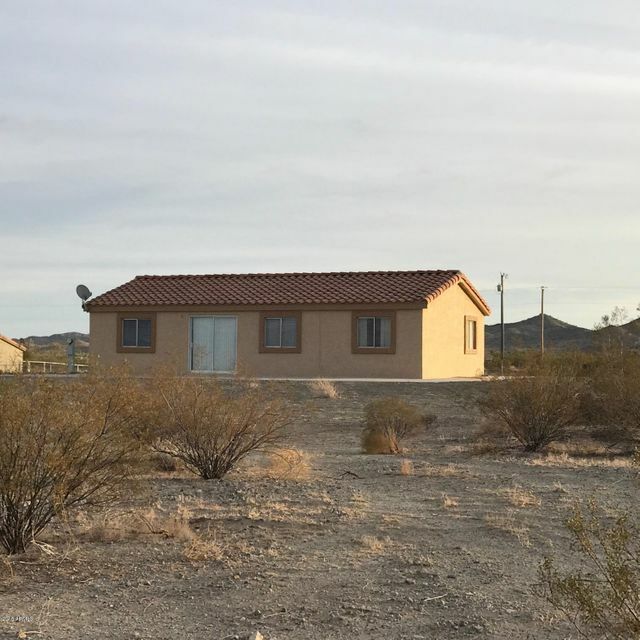 "Here's your chance to live on 2 acres fully fenced w/private well and run your own business or skip the business and have an awesome guest house! Beautiful mountain views w/mature trees at a great price!! Home features large covered patio, large carport, window over kitchen sink, gas range and custom tiled shower. Separate office building is 1000sq ft. Nursery w/automatic drip system, storage shed, lots of room for RV's and much more!! Come take a look today at this peaceful getaway full of oppo"
"PRICE REDUCTION! 2 FULL ACRES.Amazing rural living, oversized detached garage, corner LOT!horses are okay, fully fenced,RV gate and hook up Private well. A beautiful and gently used Cavco manufactured in 2002. 3 bed and 2 bath split plan with great room master bed retreat and formal dining area. All appliances convey. Master is spacious and is the the width of the back of the home. Dual vanities and walk in shower. A great lock and leave property and room for company with their own septic!" 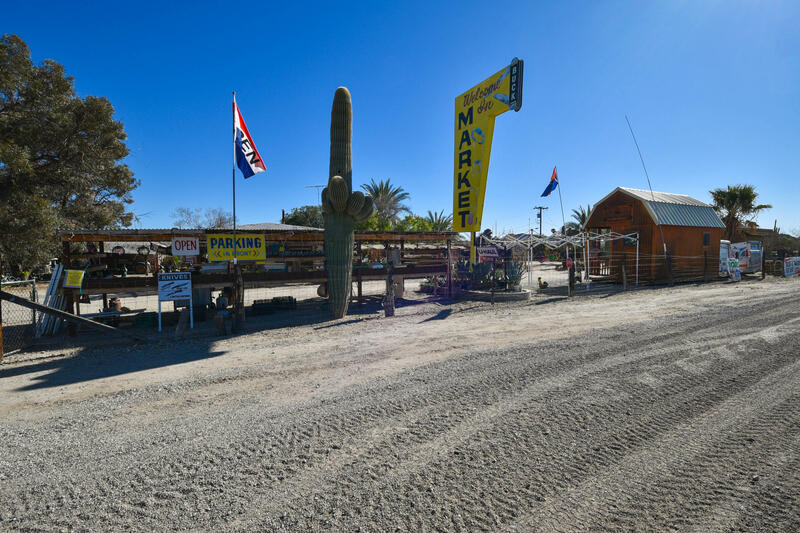 "This is a FLAT and usable 5+ acre parcel located on Highway 60. 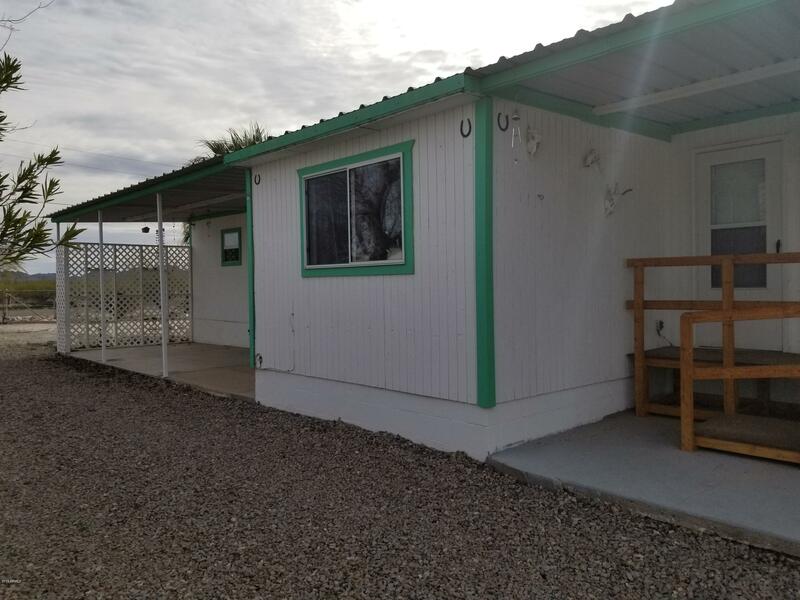 The home is a single-wide, affixed and skirted manufactured home with underground power, septic tank, well water (newly installed electric pump) with additional water storage. 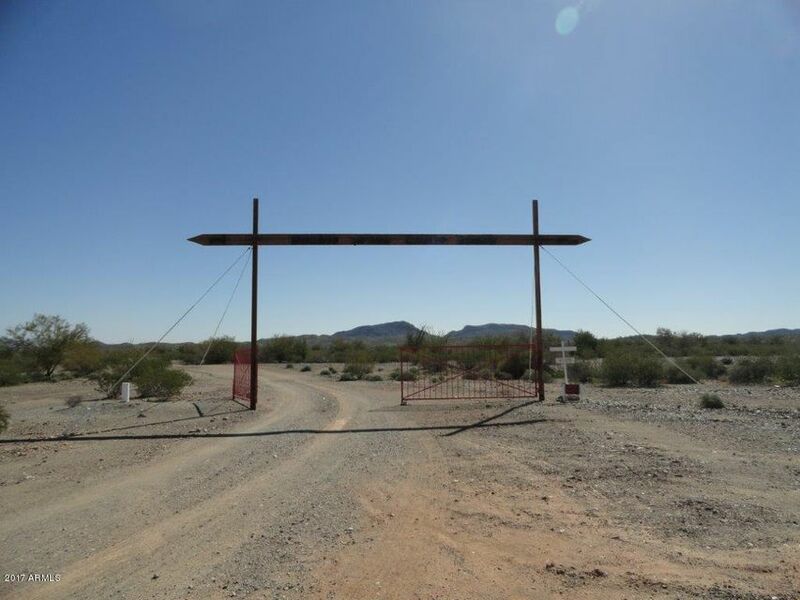 The parcel is easy access to Quartzsite, Parker, Blythe and Yuma. Interstate 10 is a few miles away leading to Tucson, Phoenix or LA. If you're looking for acreage w/house to do whatever you want, this is it!!!" 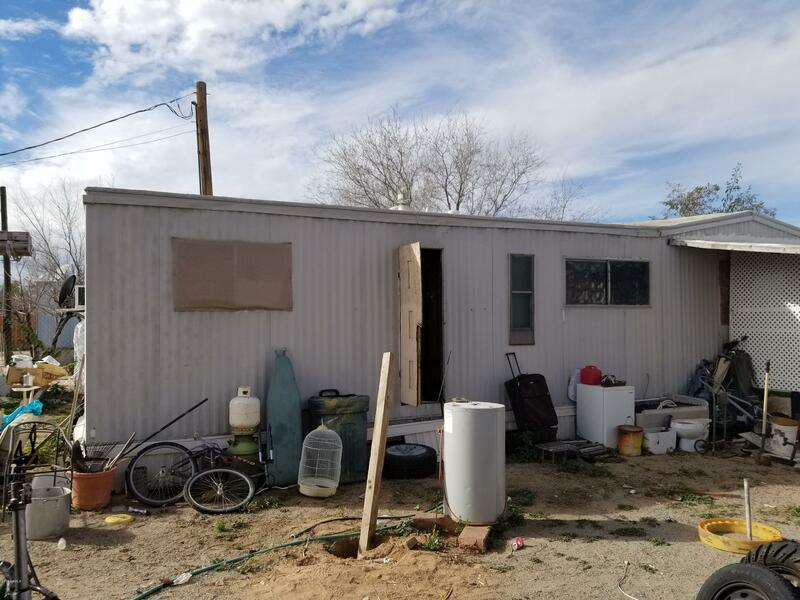 "Manufactured home well cared for on permanent foundation. 2x6 construction, Dual pane windows, Site built 2 car Garage 3 car deep, with laundry and extra bath. Home has one bed and one full bath. A full RV hook up! Shed. Come and see what Salome has to offer! Close to Lake Alamo, Jeeping and golfing! Lots of Sunshine! Schedule your private showing! Furnished!" 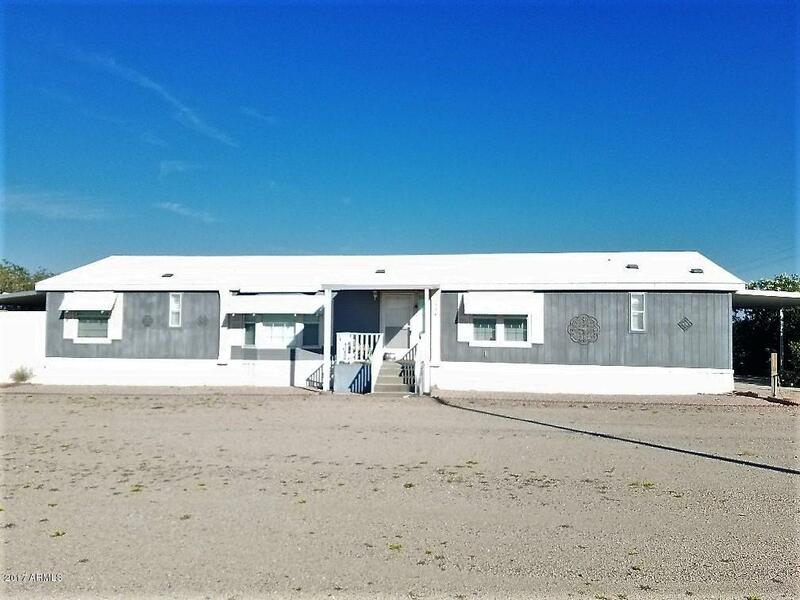 "BEAUTIFUL SITE BUILT HOME WITH OVER SIZED GARAGE AND RV HOOK UPS AND 2 STORAGE SHEDS. INTERIOR BOASTS LARGE KITCHEN WITH ISLAND, ALL APPLIANCES CONVEY. LARGE MASTER WITH BATH OFF THE GRAND LIVING ROOM WITH OVER SIZED PICTURE WINDOWS. VIEW OF THE MOUNTAINS TO THE WEST. ENJOY THE DESERT SUNSETS. 10FT PLUS CEILINGS WITH PLENTY OF STORAGE CLOSETS. STUB OUT FOR GAS FIREPLACE IN THE GREAT ROOM. HOME COULD BE USED FOR 2 SEPARATE COUPLES, BOTH BEDROOMS HAVE LIVING ROOMS AND A BATHROOM. A MUST SEE!" "New year new Lower price!A GREAT DEAL! 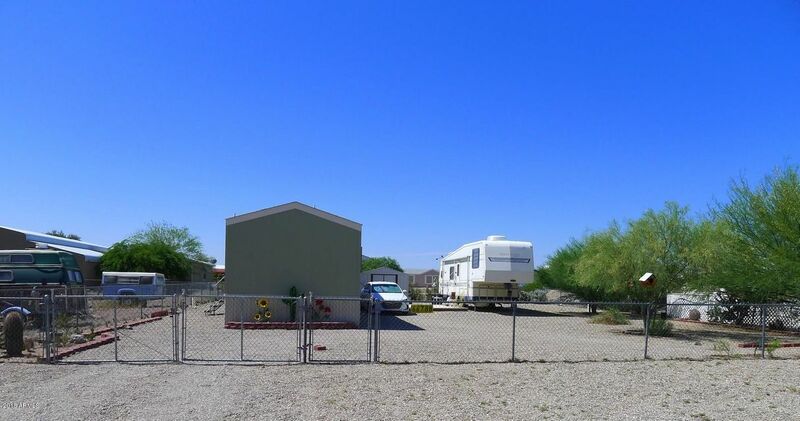 ADOBE STYLE 1 BED AND 1 BATH WITH 2 FULL RV HOOK UPS AND FULLY FENCED OVER 1 ACRE. GOOD LOCATION! BRING ALL YOURS TOYS! NO NEED TO SHOVEL SUNSHINE HERE IN SALOME! BEAUTIFUL WINTERS, CLOSE TO LAKE ALAMO, GOLFING AND PLENTY OF DIRT TRAILS! LOCAL WATER AND APS POWER AND SEPTIC IN AND CONNECTED! READY TO GO TODAY! CALL FOR A PERSONAL SHOWING! 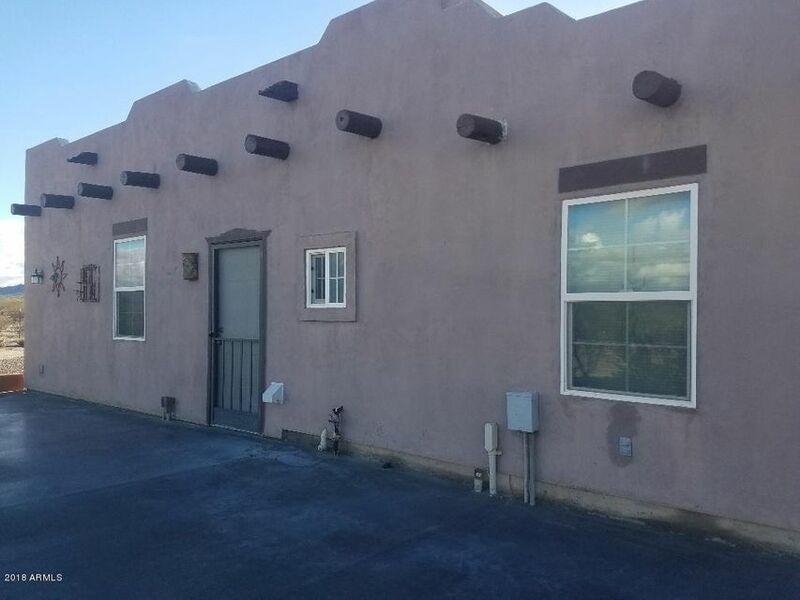 This 6-year old frame construction home is a Santa Fe style 1 bedroom rancher. Two air-conditioning units are wi"
"A great winter home or primary resident. Gorgeous 3 bedroom 2 bath, like new on private Well. Large Lot 1 acre. The family only used the property 3 months as vacation home, New Exterior and Interior Paint!!!" "Must See!! Newest Home (2014) in the Subdivision! Home to be sold complete furnished along with a 5th wheel RV. Fenced Lot with R/V hookup, plenty of room to build garage of shop.Motivated Seller, will look at all offers!!" "BACK ON THE MARKET!Welcome home to this adorable community and home! Harcuvar has a private water company and easy living right off the Highway 60! Stove, Refridge,Micro,washer and dryer all convey! New walk in shower, partially furnished too! Window and doors and roof updated in 2014. Sprinkler system with new lines. Play with your desert toys right across the street! RV hook up in the front of the home! Dont wait! Make an offer, call for a private showing!" 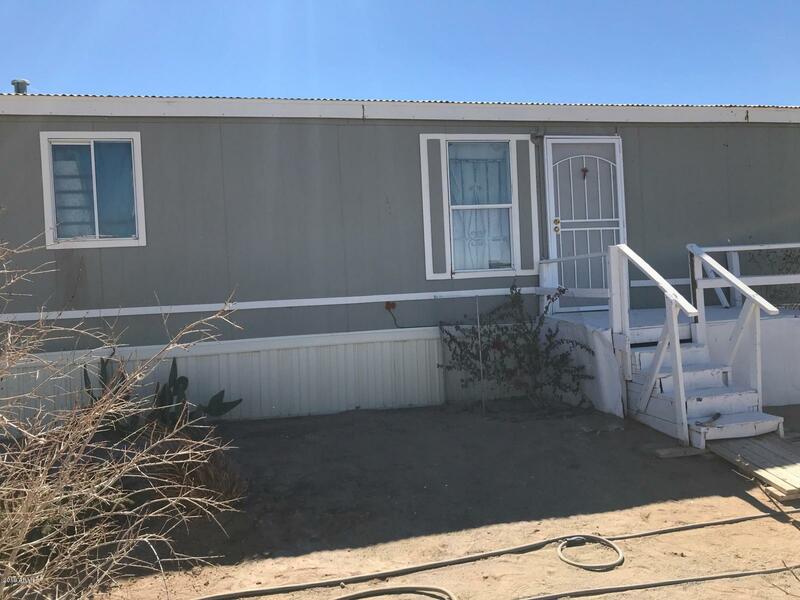 "Investor Special, 2 bed and 1 bath mobile home with tenants. Home is in need of a lot of repairs. Renter would like to stay and is paying $300 a month currently. Storage room with power and water with washer dryer hook ups. Natural gas is to the property line, power and septic."